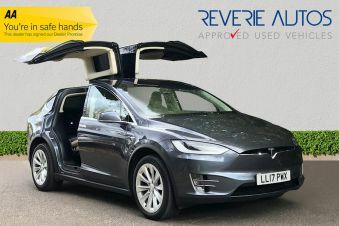 Carsnip are pleased to offer a wide variety of used Tesla cars. With 90 cars from the Tesla range available across the country, you’re sure to find the vehicle that’s right for you today. Check out our selection of used Tesla cars here. The fully-electric Tesla has laid exciting new foundations for the future of automobiles. Despite its electric power, the Tesla remains a genuinely luxurious vehicle that could easily compete with the likes of BMW and Mercedes. Its tech is perhaps even more advanced – a huge, 12 inch touchscreen interface dominates the interior, and other features such as keyless entry, wifi connectivity and a high definition reversing camera are just some of the high-tech features on offer. There’s great interior space, particularly for luggage, thanks to the extra room under the bonnet. Although charging stations are still relatively few and far between in the UK, you can expect 200-300 miles from a fully charged battery.